Life Science Partner congratulates Max Wallace on his recognition with the CED Life Science Leadership Award for his contributions to the life sciences industry in North Carolina and more broadly. Mr. Wallace currently serves as CEO of Accelerate Brain Cancer Cure (ABC²), a venture philanthropy organization that has helped bring 30 new brain cancer treatments into the clinic. Life Science Partner recruited him to this post several years ago because of his deep experience bringing impactful treatments to patients. He previously was CEO of TheraLogics, an anti-cancer company based on technology from the University of North Carolina. He also co-founded and served as President of Trimeris, a public company that developed Fuzeon, the first FDA-approved viral entry inhibitor, establishing a whole new class of drugs for HIV/AIDS and other viral diseases. Watch Mr. Wallace’s acceptance here and read more here. Life Science Partner is pleased to announce the recruitment of Pamela Goldberg to lead the Medical Device Innovation Consortium as President and Chief Executive Officer. 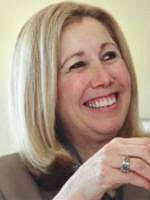 Prior to starting her own consulting firm in 2017, Ms. Goldberg served as the CEO of the Massachusetts Technology Collaboration, a public economic development engine designed to foster technological advancements, where she helped launch Massachusetts to national leadership for adoption and interoperability of electronic medical records and collaborated to build the health information exchange connection to the EHR. She will succeed Bill Murray as CEO, whom Life Science Partner recruited at the organization’s inception, and is well-suited to lead MDIC into its next phase of growth and impact, building on the foundational successes of Mr. Murray and his team. Ms. Goldberg has demonstrated consistent success in working across the boundaries of government, in both non-profit and private industry and with regulatory bodies to drive consensus. Previously, Ms. Goldberg served as director of The Center for Entrepreneurial Leadership at Tufts University, a program she launched to drive innovation for the university. Ms. Goldberg received her BA from Tufts University and her MBA from Stanford University. The MDIC, through its public-private partnership between government and regulatory agencies, non-profits, and the medical device industry, aims to advance regulatory science and bring innovative technologies to patients. MDIC coordinates the development of methods, tools, and resources used in managing the medical device life cycle to improve patient access to cutting-edge medical technology. Founded in 2012, the Medical Device Innovation Consortium (MDIC) is the first public-private partnership created with the sole objective of advancing medical device regulatory science throughout the total product life cycle. MDIC’s mission is to promote public health through science and technology and to enhance trust and confidence among stakeholders. MDIC works in the pre-competitive space to facilitate development of methods, tools, and approaches that enhance understanding and improve evaluation of product safety, quality, and effectiveness. Its initiatives improve product safety and patient access to cutting-edge medical technology while reducing cost and time to market.